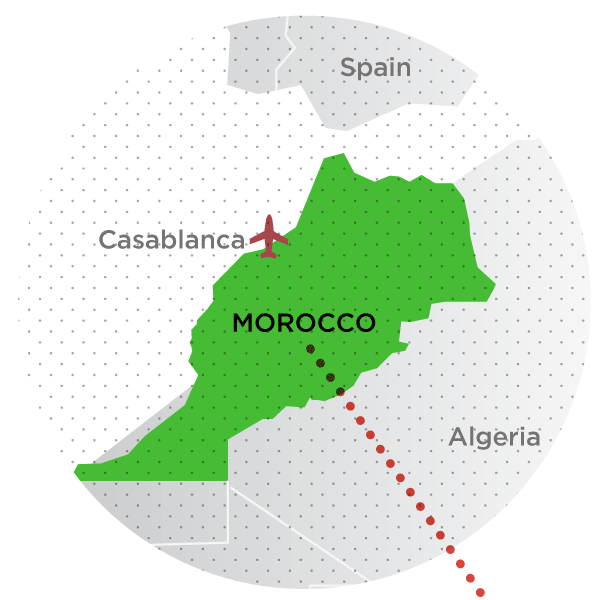 Morocco is one of our oldest friends—the land, in fact, where the idea of a B&R expedition was born. 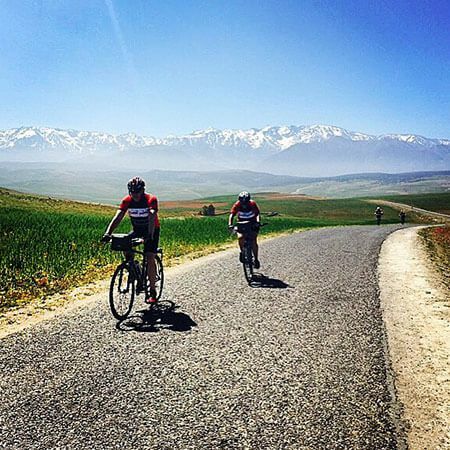 We saw a foreign, exotic, stunning country beautifully suited to our penchant for pedalling, and knew we absolutely had to introduce it to our travellers. Today, we give you the very best that a luxury Morocco bike tour has to offer—magical Marrakech, Berber villages, stunning oases, fabulous food, a Kasbah hotel, the High Atlas Mountains and an absolutely unforgettable riad stay in incredible Essaouira—all combined with an electric assist bike that makes the aforementioned pedalling a sheer pleasure. Depart on a modern-day caravan towards the High Atlas Mountains and the hidden Ourika Valley. 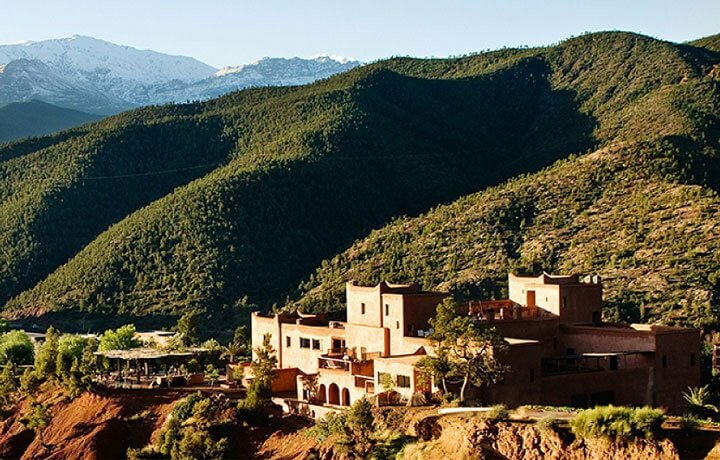 After a day of biking the dramatic Atlas Mountain landscape, settle in at the exquisite Kasbah Bab Ourika. Dinner is served by the wonderful Chef Mafoud. Walk to the tiny and remote Berber village of Tagadirt and get a real glimpse of daily mountain life in the Ourika Valley. Cycle through groves of almond and cherry trees towards the Agafay Desert. 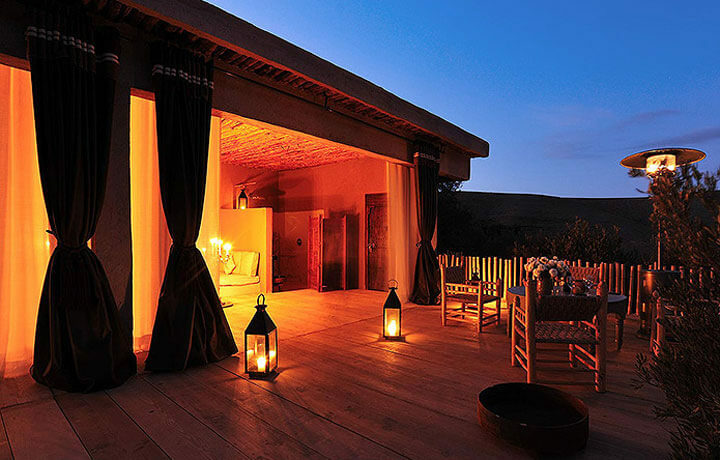 Arrive at charming desert eco-resort, La Pause, where you'll enjoy a sunset camel ride. Tonight, we enjoy an incredible candlelit dinner under the desert stars. Head for the coast and the whitewashed port town of Essaouira by Land Cruiser. Then, bike the last leg of the trip following a quiet, winding country road lined with argan trees. Enjoy lunch overlooking the Atlantic this afternoon. Bike south towards the town of Siki Kauki this morning and enjoy lunch in a local seaside bistro. This afternoon, explore Essaouira's 18thC seafront ramparts with a local guide. 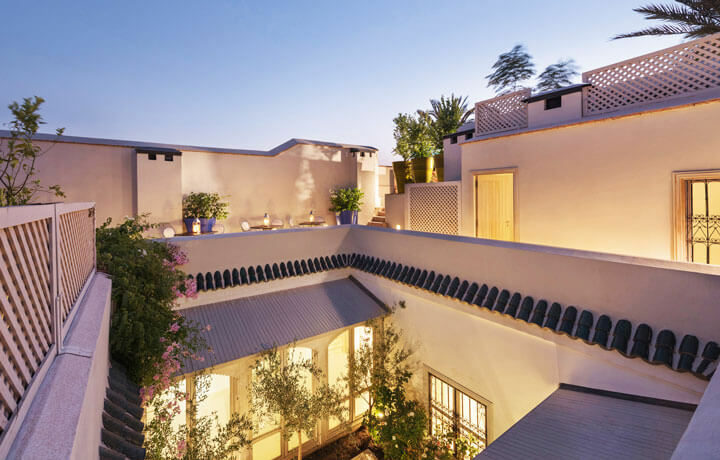 After a stunning morning bike ride, explore the magical "Red City" of Marrakech. 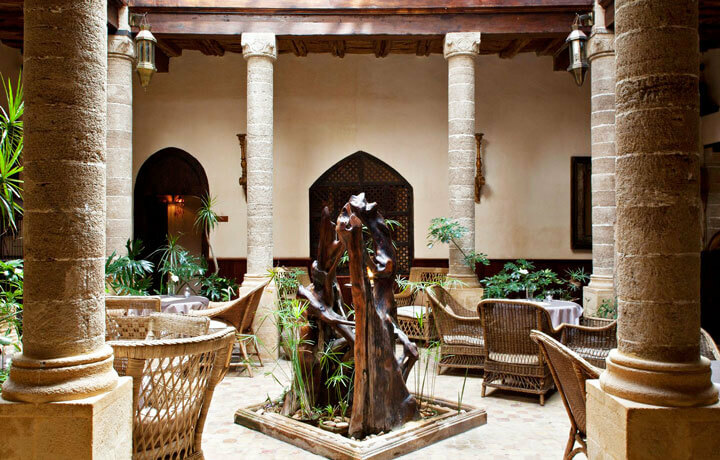 Wander into the ancient Medina, exploring its maze of narrow alleyways before finding dinner at one of the many wonderful dining spots. Tour some of Marrakech's top sights with our local friend, Mohammed. This afternoon, he welcomes us into his riad to share a delicious lunch and stories about the city. Tonight, a special dinner awaits with marvellous views of the Imperial City nightlife. Say farewell this morning after breakfast and catch your flights home. Take in the views from two wheels. 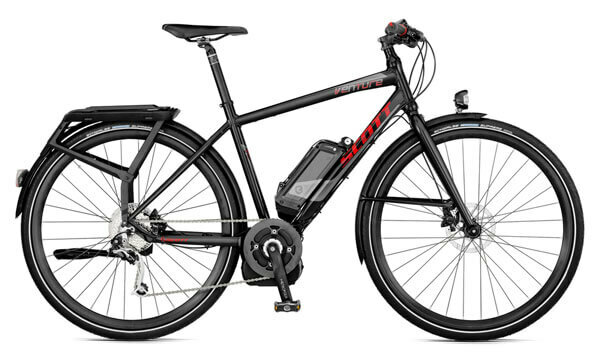 You can’t enjoy a great biking trip without a really great bike. On this trip you’ll be riding a a local e-bike providing electric assistance whenever you want it. We also equip you with handlebar bag, helmet and water bottle.